As you can see from the screen capture above I have been struggling with a slow connection to the Internet for over 2 months. Sub 2 Mbps is very very slow. What a pain. I spent hours staring at the screen waiting for it to refresh. I had 3 different friends come over to help me fix it. None of them came up with a solution that worked. I finally did a search on Kijiji and contacted an electrician. I was prepared to pay for installing a line from the basement to the 2nd floor. His name is Tim Holbrook, 403-481-2091. He sent out his guy, Tosh, who came on a Saturday. Through good detective work, Tosh figured out that there was already a Cat 5 cable running from the basement to the upstairs. This was used as a phone line but had all the capabilities for running data to my office. Unfortunately, he is an electrician and he doesn't connect Cat 5 to computers. So I had to call my friend, Joe Pereria, back to help me do the final connection. It works fantastically. I now have a 50 Mbps connection which is what we pay for from Shaw. 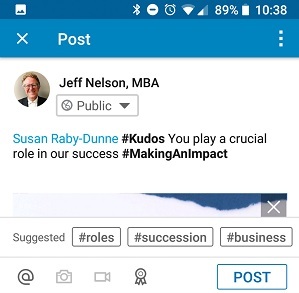 Now I have no excuse to read emails and post on LinkedIn. Thanks Tim, Tosh and Joe. I appreciate your help. 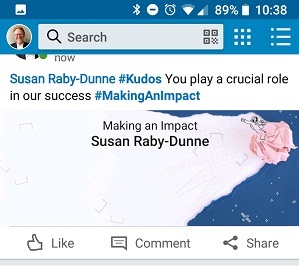 Yes there are spammers on LinkedIn. And the more connections that you have, the more spammers there are. I get at least one per week. But then I connect with almost anyone who asks. I like to connect with people I don't know. I give them a try. If they spam me. Especially if the guy wants to give me "Hugssssss," (see image above). I disconnect. 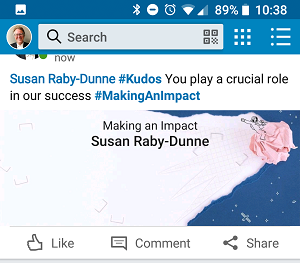 But it isn't obvious in LinkedIn as to how to disconnect from someone. 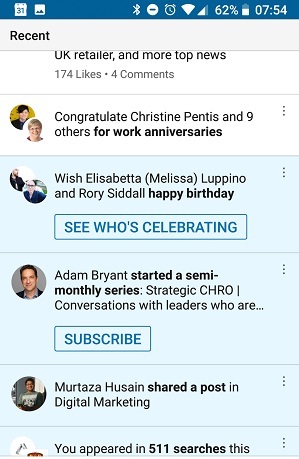 So here at the steps for disconnecting someone on LinkedIn that you don't want to be connected with. In the message, click on the link to the person's profile. Click on the down arrow beside Send [Name] InMail. In the drop down select Remove from Contacts. See image below. You will get a pop-up asking if you are sure; click Remove.